I have been researching oils lately. I love to use straight Jojoba oil out of the bottle as my facial moisturizer. In the shower, right before I get out I take a teaspoon or two of grapeseed oil and rub it all over my wet skin. I have tried Coconut oil in the past, but i find it too drying of an oil for my delicate skin. Recently I was asked to develop the perfect homemade anti-wrinkle cream, so I have been doing a lot of reading on the subject. First of all, once you have wrinkles there is no magic potion that is going to make them disappear. Your best bet is prevention. That said, you can definitely reduce the appearance of wrinkles by staying properly hydrated, eating plenty of healthy fats (mmm butter!) exfoliating gently, and protecting your skin from the sun with an organic mineral makeup. I will post on mineral make up later, and my exciting discovery. While many people spend small fortunes on external skin care—creams, potions and facials— healthy skin must start on the inside, nourished by a healthy diet. A diet low in refined carbohydrates and high in animal fats, rich in fat-soluble vitamins and the proteins that support skin and collagen integrity, is the basic recipe for skin health. Bone broths and stews rich in collagen help make skin thicker and healthier; lacto-fermented foods support intestinal health and gut integrity. Just keep in mind that your skin absorbs 60% (at least) of everything that you put on your body. So put down that mineral oil laden bottle of junk from Walmart and lets get cooking on some homemade eye cream. 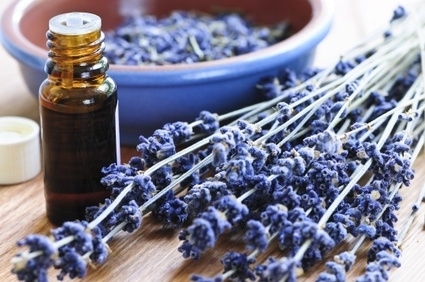 There are several oils that are excellent for the skin. The first is Rosehip Seed Oil. It is the best oil available for anti-ageing and skin rejuvenation. I ordered a bottle of Rosehip seed oil from Mountain Rose Herbs and I can’t wait for it to arrive. I am going to use it for 2 months and then post about my results. Maybe I should use it on only half of my face and take pictures. What do you think? Place beeswax, jojoba, rosehip and apricot oils in a double boiler (I put my hillbilly glass jelly jar right into a pan of warm water). Heat very gently to melt wax. Stir well, remove from heat. Slowly stir in remaining ingredients. Place in fridge until set. Makes a small 2.5 oz jar. Use under eyes in the morning and evening. I think this would make an excellent gift don’t you? I use a homemade oil blend on my face and neck twice a day. It works great, even around my eyes. Rosehip oil is a key ingredient in my oil too! Thanks for sharing! I’m glad to hear it works for you. It’s one of my favorites. Maybe this is why you have such pretty skin Alia! Is it a solid or liquid? Does it travel well? I also agree with you Alia.Really it work great but we need many tips to keep our eye. share away! It really does work. Homemade gifts are always highly thought of. Yes please do half of your face and post the results. I am intrigued. I would not be brave enough or patient enough to do that. Ok Mom, you’re on my Christmas list! This looks like a wonderful cream. I can’t wait to read how your experiment turns out. Thank you Lisa, I’ll let you know how it goes! This is awesome! 🙂 I’d love for you to share it on Wildcrafting Wednesday! another question- what is the rose- water ingredient? or am I just missing something? Actually my dear that would be a typo 🙂 I use Essential Oil of Rose, or whatever scent I’m in the mood for that day. Good catch! 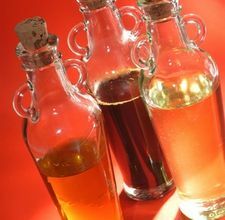 Do you use 5 tsp of EO of Rose, or nearly 1 oz, like from here at $46 per 1/8oz http://www.mountainroseherbs.com/aroma/q-z.html? Or is it rather Rose hydrosol from here http://www.mountainroseherbs.com/fwater/fwater.html? Thank you. It’s great even on its own as a facial mist. Hope this helps. Reblogged this on Green Boot Living. hey- i need to come up with a homemade sunscreen idea for the summer. any ideas????? I am working on a post about that right now. We must be on the same wavelength. I dont have any jojoba – could I substitute it with an alternative? And what would you suggest. Many thanks. Emma. Jojoba is the closest to your skins natural sebum, but other good ones to try would be Apricot Kernel Oil, Almond Oil, Vitamin E Oil, Argan Oil and Coconut Oil. Do you have any of these in the house? Can you nix the beeswax and just use the oil as a blend for an all over face moisturizer? Mallissa, Yes you can do that. In makes a great moisturizer. And it will keep a long time if you keep it in the fridge. If you usually have sleepless night and you would like to be free from your issues on puffy eyes, then, there is no longer a need for you to look further since everything can just be found right within your kitchen. Vitamin-E is really needed for the maintennance of healthy skin and also lungs. Some research says that it can prevent lung cancer. ;’*`. I work as a fashion photographer and it is not uncommon for me or a co-worker to get burned – lights, props – anything! When these accidents happen, without hesitation, i apply Made From the Earth “Pure Aloe Vera Treatment”. I keep this product on hand at all times. I went to the beach with my children and experienced the worse sun burn i have ever experienced. I fell asleep in the sun. I remembered this product was for burns and i prayed it would work… MAGIC is the best word for this product. It was soothing, fast acting, cooling, long lasting, non-greasy, non sticky. I went from being in tears to wearing clothes and leaving the house in 2 days. is it ok and effective to just use the rosehip seed oil moistened on a cottonball directly to the eye area rather than making the “cream”? Yes when I’m feeling really dry, i use it straight out of the bottle. Thank you for posting this information as I am so happy to learn about Rosehip Oil and its benefits. I am just starting to make body butters and I would love to make a facial product (butter or cream?) like yours. My concern is that your recipe contains rose water and I thought that once water is added then the mixture will need a preservative. Have you tried a recipe that omits the water and perhaps uses a butter or coconut oil instead of beeswax? Your thoughts are much appreciated! Do you think it’s ok to add TUmeric to this eye cream? Honestly dear, I don’t know. I have never tried it. Isn’t tumeric yellow? Would that stain the skin? I’m curious, how did your experiment turn out? I just bought all of the goodies to make this today and would love to hear about how well your concoction worked. Thanks so much for sharing all of this; I’m always looking for ways to cut the chemicals and toxins from our home and for fun, homemade gifts for friends. Hi. I can’t stand how the carrot seed oil smells. Would this eye cream be significantly less effective without it? Use whatever is pleasing to you, it’s really not worth it to use something you hate everyday. Life is too short for that. Also some people disagree with the smell of something for a reason. Maybe your body doesn’t agree with that particular oil, and you should always listen to your body! Just made this eye cream for the first time. For some reason the rose water did not incorporate–it stayed separate from the oil/wax mixture. Any ideas? i made this and it looks great but all the rose-water just settled at the bottom and i had to poke a hole in the hardened part to let all the water drain out. did i do something wrong? is the water intended to emulsify with the oils? Someone else mentioned the same problem. I haven’t had this happen, so I’m not sure what’s going on. You could try re-heating it gently and mixing everything back up. You can also drain off the Rose water and live without it 🙂 Let us know what works! I had the same problem when I mixed this eye cream for the first time. You should mix it really well, then it will work. My second time, I mixed the concoction for 20 mins with electric mixer and I got a smooth cream with no water. I read somewhere that 20 mins is a minimum mixing time when mixing oils and waters. Where can I find the results of your experiment? What about olive oil? I want to make a cream for my face that will really work as I am temporarily without a job and don’t have enough money for expensive ingredients let alone face creams! I have heard jojoba oil, avacado oil, argon oil, and one other I cannot recall. Assistance please! Try it, it can’t kill you right? I find olive oil is a little bit clogging to my pores, so use a tiny amount if you do try it. If you’re without a job (we’ve all been there) try just using plain coconut oil as your face and body lotion for a while. It’s cheap! I have a question about the last ingredient. Is it rose-water or was it a typo (as commented later) and should be rose essential oil. How much in that case (5 tsp-s seems way too much). I tried with rose-water and some of it did not mix in. I use rosewater. 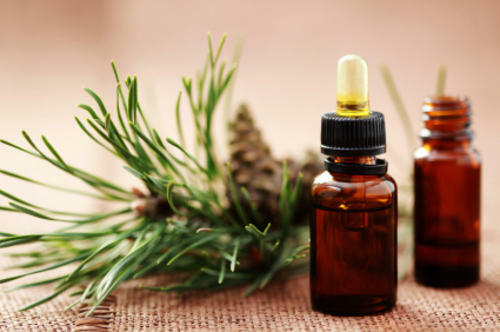 If you’re using essential oil it would be much, much less. Maybe 4-5 drops…. I had the same problem when I mixed this eye cream for the first time. You should mix it really well, then it will work. My second time, I mixed the concoction for 20 mins with electric mixer and it worked. I read somewhere that 20 mins is a minimal mixing time when mixing oils and waters. Where can I buy this cream ? 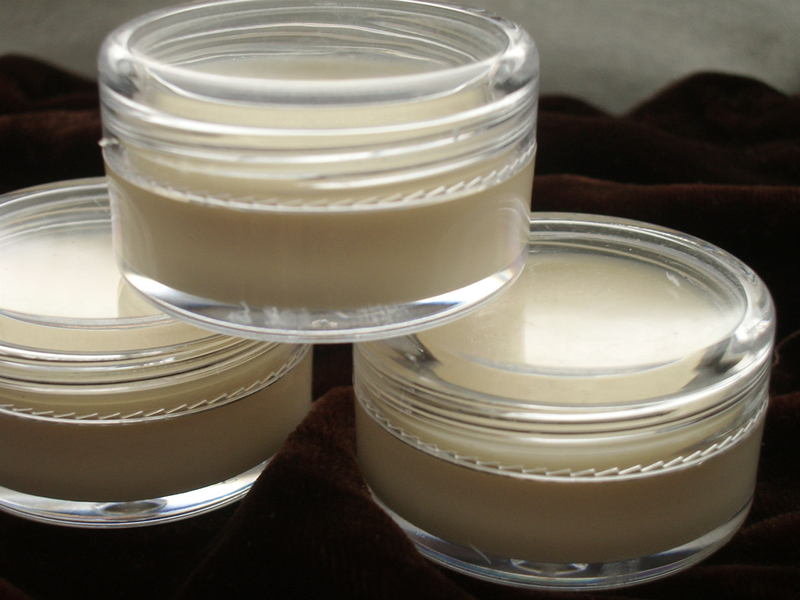 here Homemade Hippie Wrinkle Cream | A Real Food Lover. other sites, I’d like to follow everything fresh you have to post. Would you make a list of every one of your communal sites like your linkedin profile, Facebook page or twitter feed? Thanks for sharing! I use jojoba and apricot as an eye serum everyday and works wonders. But I’m on my way to get rosehip and carrot seed oil and try this out. Thanks for the idea of giving it as a gift. My momma will love this!! Naz, Thank you for commenting. Let us know how it turns out! I am still using this daily and love it! Tiffany, I’m so glad you like it! I have actually started using this cream on my hands and feet too. Thank you for commenting. I hope to see you around here often! Sorry another question… I need to buy the rosehip oil, I have a choice of natural and deodorised… (both organic), which one do you use? Thank you!! Waterlily, I buy my rosehip seed oil from Mountain Rose Herbs (link to this site can be found on the homepage) and it is Certified Organic and cold-pressed. I think deodorising requires heat, so i would stay away from that. Also, peach kernel oil would work yes. It’s pretty worth enough for me. In my opinion, if all web owners and bloggers made good content as you did, the internet will be a lot more useful than ever before. Just made the cream.. Can’t wait to try it now.. Mine looks a lot more yellow then the pic.. Is that normal..? I am a Esthetician and i just found this product and began using it 10 days ago. I definitely say take before pics I have been using it for 10 days 2x’s a day straight from the bottle to my face. I really wished I had taken b/f pics. I will say if you only do one side of your face you will see results fast and then feel bad you neglected the other side. Fabulous period. I posted pics today publicly on my timeline. I really I had taken b/f pics. Nonetheless I have pics now and I will use it for 4 months as that is where the best result were seen in the case studies I have looked at. Good luck ladies!! I just bought 16 oz of rosehip seed oil from Mountain Rose Herbs; I’m going to use it alone on my face as my primary moisturizer. I’ll take before and after pics and let you know how it turns out! I bought rosehip seed oil just this morning and I’m so glad I stumbled on this site, great info, thanks so much! Does this need to be kept in the fridge and also, how long will it last? Thank you for your time. Rosehip oil is actually one of the most naturally nutrient densely packed oil for an anti aging skin renewal. Personally, I use it for almost everything. In fact, many experienced beauticians have told me that this oil is one of the best anti aging oils ever! I would like to know how this turned out…I can not find a follow up to your post. Please share.